I am not DeGarmo & Key. You cannot contact DeGarmo & Key through this website. Welcome to the Unofficial DeGarmo & Key Homepage! Whether you are an existing fan or new to the music and ministry of DeGarmo & Key, this is for you! Here you will find the history and legacy of DeGarmo & Key accurately documented and neatly organized. Whether you're searching for their biography, discography, videos, music, lyrics, pictures, or where to find and purchase DeGarmo & Key albums, videos, memorabilia, you will find it all here. Please feel free to sign the guestbook or join the forum and share your memories of DeGarmo & Key. DeGarmo & Key are legends in CCM. They are one of the most (if not THE most) recognizable bands in the history of Contemporary Christian Music. 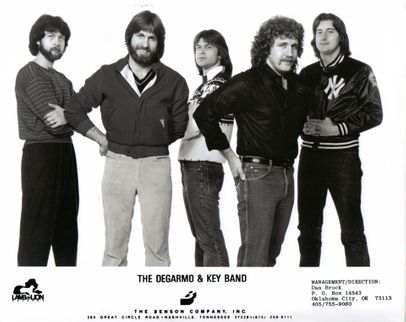 Fronted and founded by Eddie DeGarmo & Dana Key, DeGarmo & Key began in 1978 with their 1st album This Time Thru on Pat Boone's - Lamb & Lion - record label. The band ended in 1994 with the album To Extremes leaving behind a legacy of 17 albums (14 full albums and 3 greatest hits/compilation albums).